The black 4' USB Type A Male to Lightning Male from Griffin Technology allows you to connect an iPad mini, iPad 4th Gen, iPhone 5, iPod touch 5th generation or iPod nano 7th generation to a USB port on your Mac or PC to charge, sync and transfer data. Or, you can connect it to a power adapter (sold separately) to charge from an AC wall outlet. 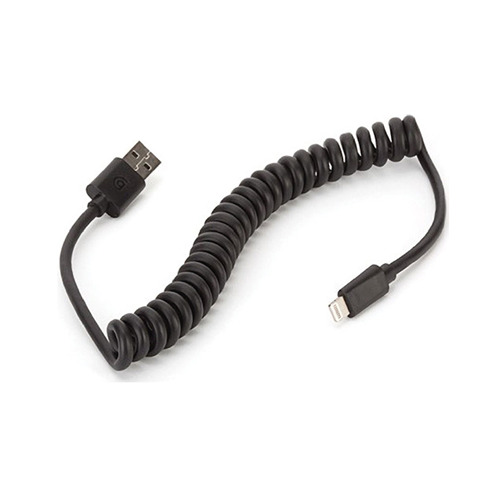 The cable jacket is durable, protecting the wire cores and ensuring the cable doesn't tangle. 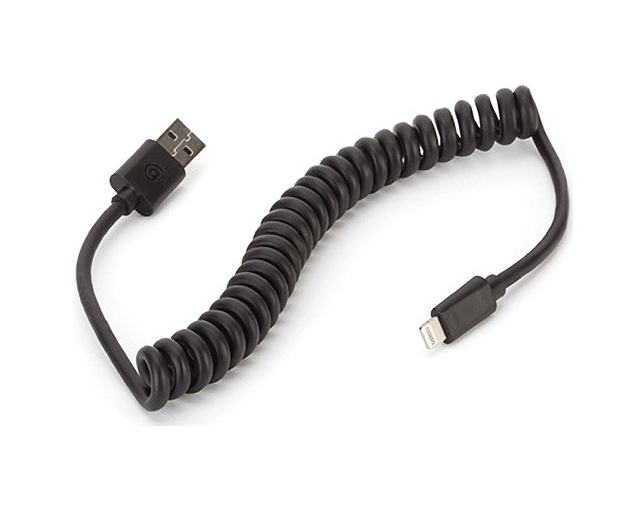 This cable has a coiled design, making it ideal for use in the car.